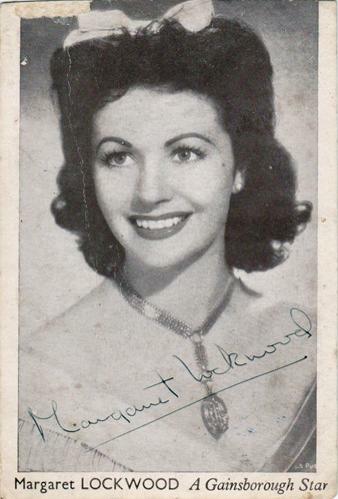 MARGARET LOCKWOOD signed B&W publicity photo. 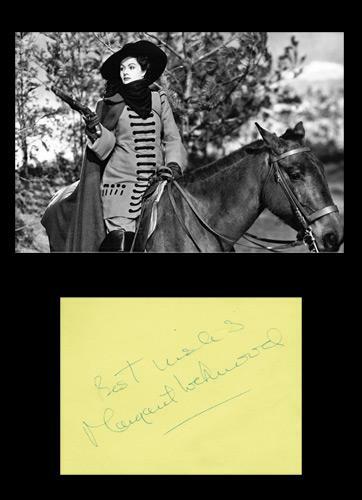 MARGARET LOCKWOOD large autograph book page (c 1949) + B&W photo of her in character of Barbara Worth in the 1945 Gainsborough film "The Wicked Lady". 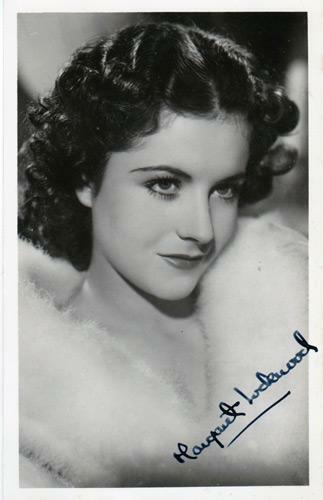 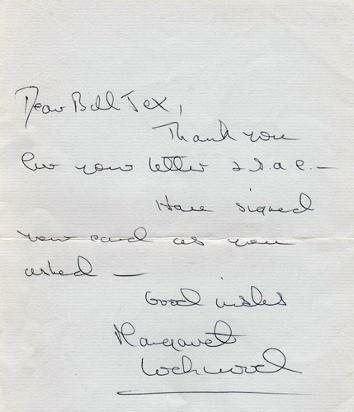 MARGARET LOCKWOOD signed Gainsborough Star publicity postcard. 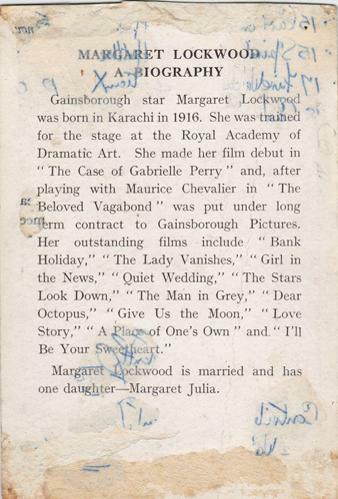 Has some damage to reverse where it had been stuck down.